How high can the Nasdaq go? 6,000? Good news for anyone who bought tech stocks on March 10, 2000. You're finally making money! 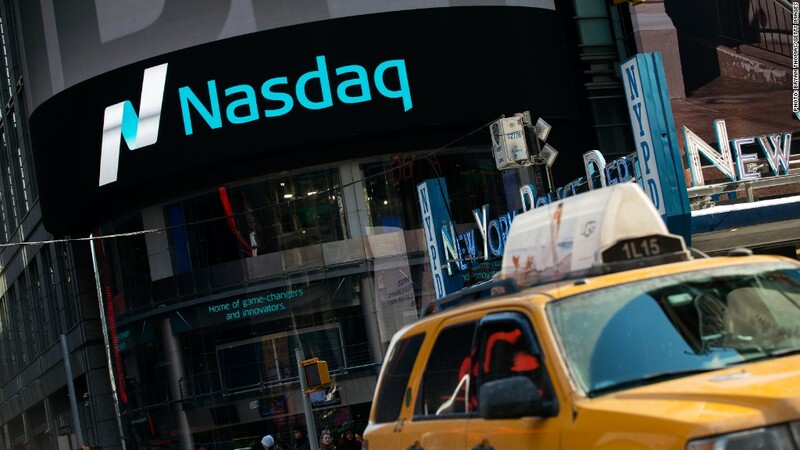 The Nasdaq soared 1.3% Thursday to an intraday record of 5,143.32, topping the previous all-time high of 5,132.52 from more than 15 years ago. The Nasdaq hit a new closing high as well. The overall market rallied sharply thanks to new hopes that the worst can be avoided in Greece's debt crisis and more clarity about the likely timing of an interest rate hike from the Federal Reserve. It's been a long road back for the Nasdaq -- which first plunged in 2000 as the dot-com bubble burst and then plummeted again in the midst of the 2008 financial crisis. The Nasdaq -- home to leading technology companies Apple (AAPL), Google (GOOGL), Facebook (FB) and Microsoft (MSFT) as well as consumer giants Amazon (AMZN), Starbucks (SBUX), Comcast (CMCSA) and Walgreens (WBA), is the last major index to hit a new intraday record. It first topped its all-time closing high back in Aprii though. But the Dow Jones Industrial Average and S&P 500 have been reaching new highs for a while now. Ditto for the Russell 2000 -- which is the most popular index for smaller companies. Still, the Nasdaq has been the hottest market barometer in the United States this year. It's up 8.5% so far in 2015. The Dow and S&P 500 have gained 2% and 3% respectively. The tech stock surge has created fears of a new bubble. The stock market has been in rally mode for more than six years, after all. And there hasn't been a big pullback -- or correction -- since 2011. Related: Uber now worth $50 billion. Really? But many of the largest tech companies aren't trading at absurd prices like they did in 2000. Apple, for example, is valued at just 13 times earnings estimates for its next fiscal year. Fifteen years ago, tech titan Cisco (CSCO) was trading at more than 100 times earnings estimates for 2001. Some market strategists think that the stock market will rally for awhile as long as the U.S. economy continues to recover. Earnings growth should be decent, if not spectacular. But if there is a bubble, it might be in the world of startups and new public companies. Uber is now valued at $50 billion. Other Silicon Valley favorites that are still private -- like Airbnb, Snapchat and SpaceX -- are all worth at least $10 billion too. The strong performance of several companies that have recently gone public are also making people scratch their heads. The latest is wearable fitness tracker Fitbit (FIT) -- which gained more than 50% Thursday.